The days of difficult night driving are over. You'll never be blinded by bright lights, again! For some people, driving can be a burdensome task, especially during the night. Add some bright lights to the mix and things can take a turn for the worse. Blinding lights from other cars, intersections, street lights, and more can become a hazardous situation which makes driving at night tricky. Did you know that there is a major influx of car accidents during the night? It's even worse during the winter months. This is largely due to people not being able to see that well under these conditions. Each lens is made from nano-bind crystalline lenses that increase clarity up to 130%. That's amazing! These lenses also reduce blinding glares from lights and increase the dark lighting. This allows you to see just like it were daytime. 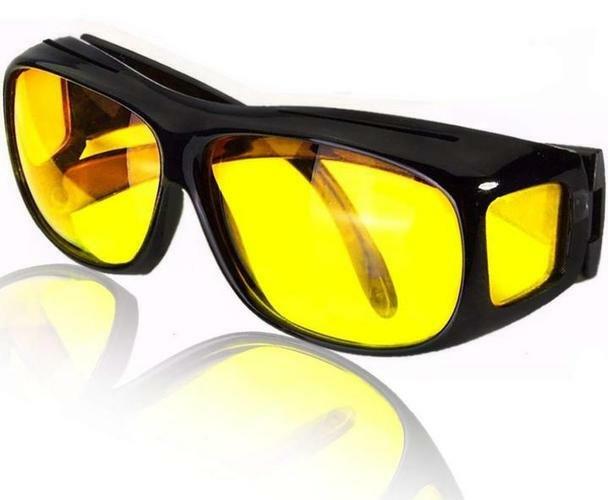 You won't have any more issues driving during the night when you wear these amazing glasses. This means you, your passengers, and other motorists will be safer. Excellent Night Vision: Polarized lenses weaken reflections from other vehicle headlights and other reflective surfaces. Expect to see clearer and sharper with these glasses than ever before. Convenient to Use: Glasses can be carried with one hand. Comfortable when worn. COMFORTABLE CHILD CAR SEAT HEAD SUPPORT - GREAT FOR NAPPING ON THE GO!